Could this resurrect Energy East or a new pipeline project from Enbridge? Saudi Arabia said on Sunday that it is ordering Canada's ambassador to leave the country and freezing all new trade and investment transactions with Canada in a spat over human rights. 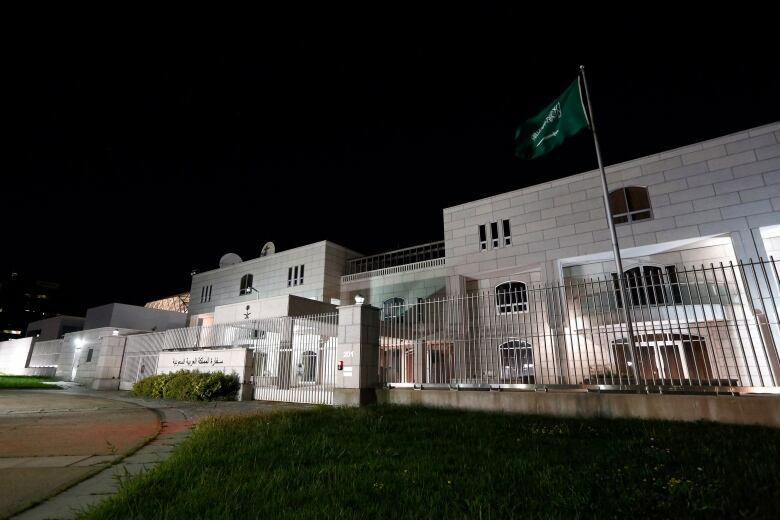 "We consider the Canadian ambassador to the Kingdom of Saudi Arabia persona non grata and order him to leave within the next 24 hours," Saudi Arabia's Foreign Ministry said on Twitter. The Saudi Foreign Ministry called the use of "immediately release" in Canada's tweet "unfortunate, reprehensible, and unacceptable in relations between states." It dismissed Canada's characterization of the activists as "an incorrect claim" and said Canada's attitude was "surprising." "Any other attempt to interfere with our internal affairs from Canada, means that we are allowed to interfere in Canada's internal affairs," it said. "We are seriously concerned by these media reports and are seeking greater clarity on the recent statement from the Kingdom of Saudi Arabia," said Marie-Pier Baril. "Canada will always stand up for the protection of human rights, very much including women's rights, and freedom of expression around the world. Our government will never hesitate to promote these values and believes that this dialogue is critical to international diplomacy." Saudi Arabia said it is also freezing all new trade and investment transactions with Canada and "reserves its right to take further action." Saudi Arabia is one of Canada's largest export markets in the region, and some 10 per cent of Canadian crude oil imports come from Saudi Arabia. It said it will not accept any form of interference in its internal affairs and considers the Canadian position "an attack" requiring a firm stance to deter "attempts to undermine the sovereignty" of Saudi Arabia. In neighbouring United Arab Emirates, Minister of State for Foreign Affairs Anwar Gargash said Monday on Twitter that his country stands with Saudi Arabia "in defending its sovereignty." Bahrain's foreign minister made similar comments in support of Riyadh. His wife,​ Ensaf Haidar, and three children live in Quebec and became Canadian citizens last month. Freeland said on social media last Thursday that she was "alarmed" to hear of Samar Badawi's arrest. 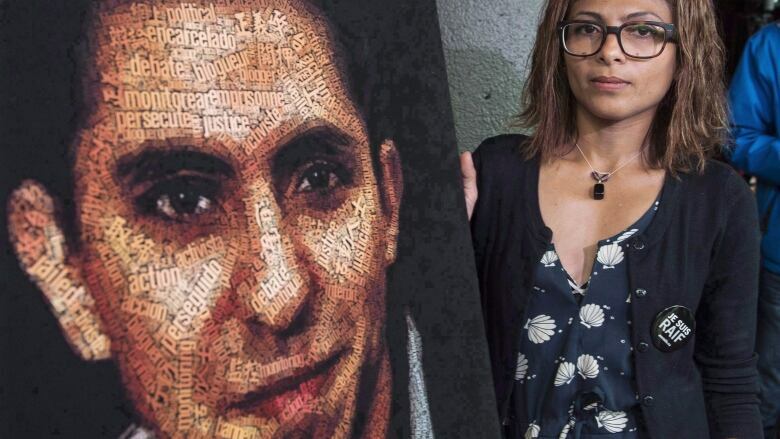 "Canada stands together with the Badawi family in this difficult time, and we continue to strongly call for the release of both Raif and Samar Badawi," she wrote on Twitter. ​Bessma Momani, a political science professor at the University of Waterloo, believes the apparent diplomatic moves by Riyadh were about more than the Badawi case. 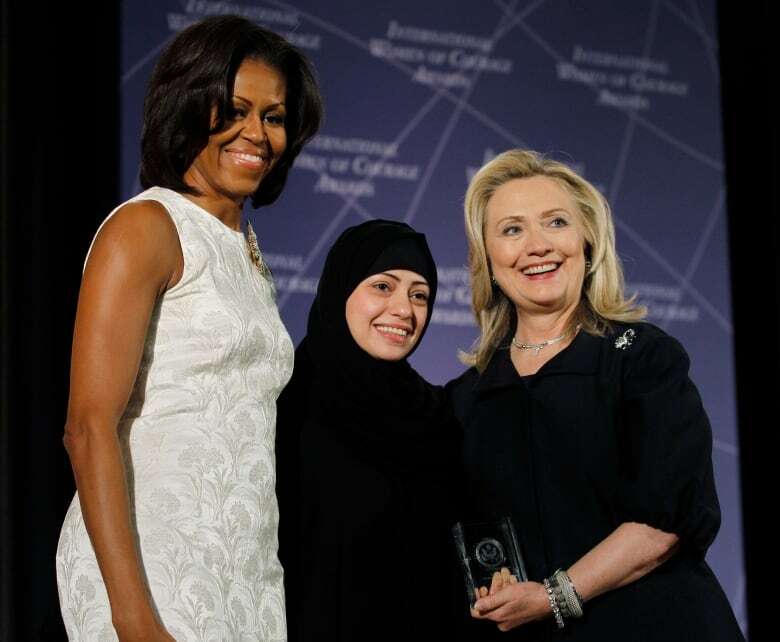 "I think one has to stand back and see that there's been a lot of heat on Saudi Arabia, particularly its treatment of civil society actors and and human rights activities," she said. "I think Canada is literally made to be an example." Saudi Arabia ended in June its long practice of not allowing women to drive automobiles in the Sunni kingdom. However, supporters of women's rights were arrested just weeks before the ban was lifted, signalling that only King Salman and his powerful son, Crown Prince Mohammed bin Salman, will decide the pace of change. It isn't immediately clear what new business could be affected between the two countries. Bilateral trade reached $3.9 billion Cdn in 2016, with tanks and fighting vehicles among the top Canadian exports to the kingdom, according to government statistics. Saudi Arabia in recent years has expelled Iran's ambassador over attacks on its diplomatic posts following its 2016 execution of a prominent Shia cleric.